Chicken vs. 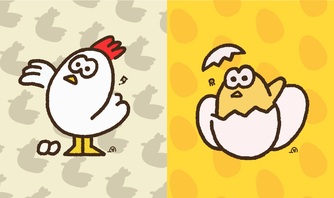 Egg was a Splatfest event in Splatoon 2. It was held in North America, Oceania, and Europe. It was announced on 3 March 2018. The results were given on 12 March 2018. Results from all regions were combined. Chicken vs. 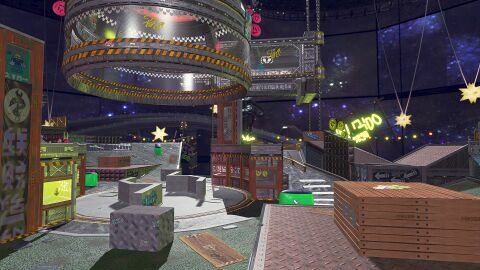 Egg featured the 8th Shifty Station layout, "Kakutei". Team Chicken marks the first time a solid white ink color was used in North America and Europe. Japan wouldn't see solid white ink until Team Hello Kitty in the first round of the Sanrio Splatfest Tournament. Notes: This is the order in the Spanish language. Notes: Pearl referring to herself is likely a typo. This page was last edited on 5 April 2019, at 01:22.